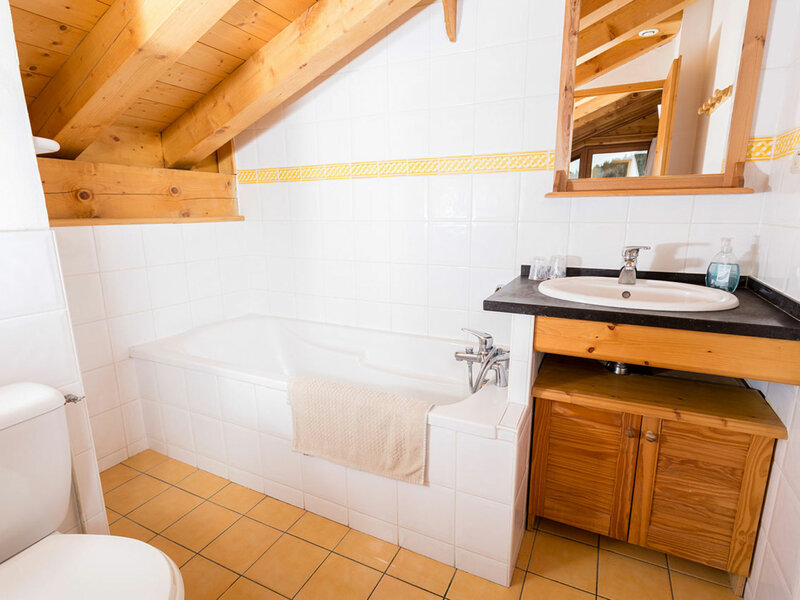 Chalet Matisse combines two chalets with 4 bedrooms each, so is great for groups up to sixteen. Solidly built, it is in a great location and has stunning views over the valley from the sunny terrace. 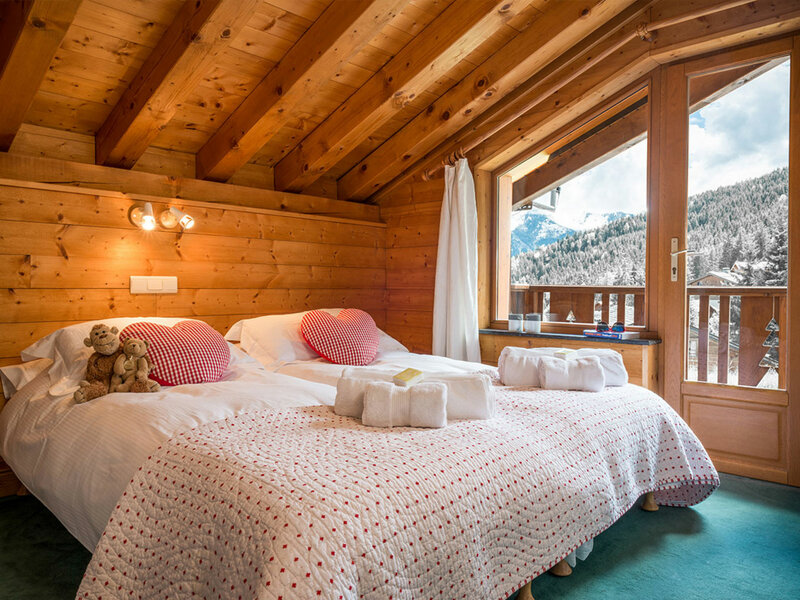 The rooms have their own en-suite bathrooms and Chalet Matisse Haut has the benefit of a separate games room with table football. 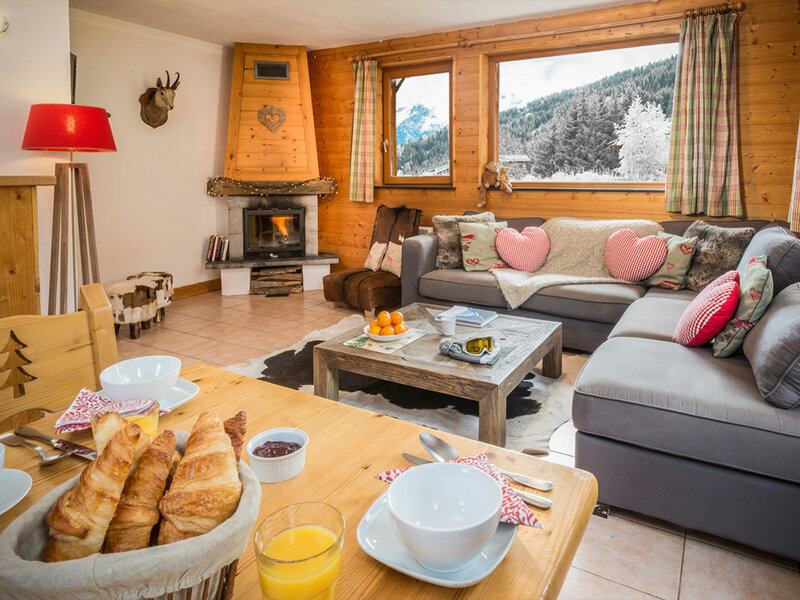 Both chalet living rooms have a welcoming log burning stove and comfy sofas. They are equipped with free Wifi, satellite TV, wireless speaker, DVD/CD player, and a selection of board games. 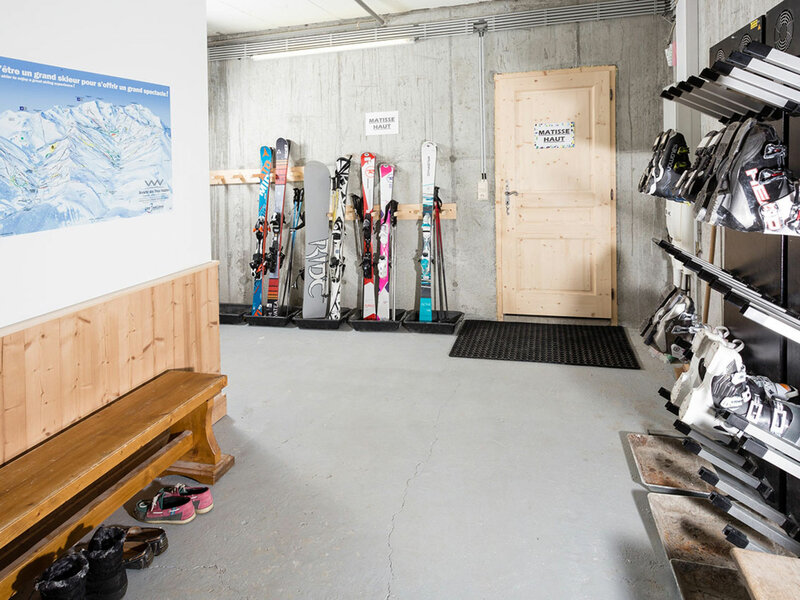 The chalets can interconnect through the boot room for larger groups if required or can be completely separate for smaller groups. Boot warmers are provided in the boot room-so no cold boots in the morning! 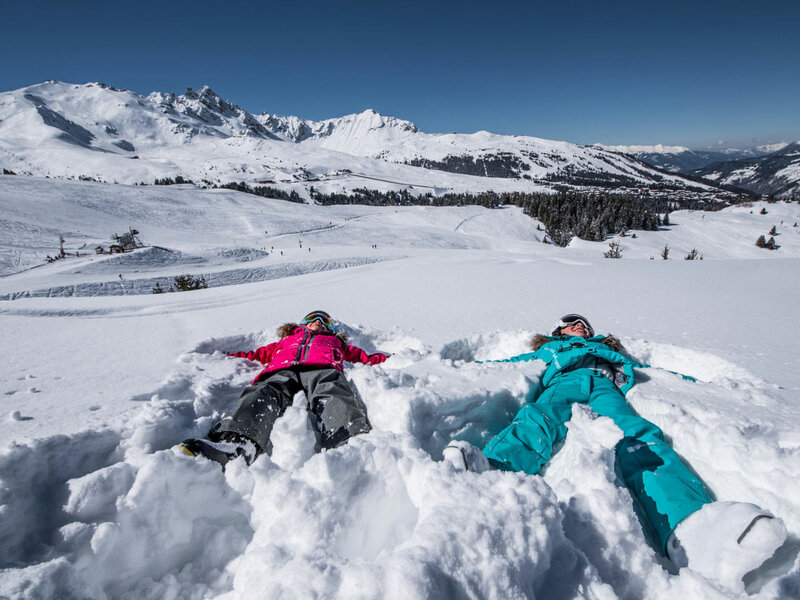 Chalets are fully catered offering a wholesome breakfast with hot options, afternoon tea with a freshly baked cake and a 3 course evening meal with wine. Early meals are available for children. Childcare is available if required and child discounts are applicable in our family weeks. 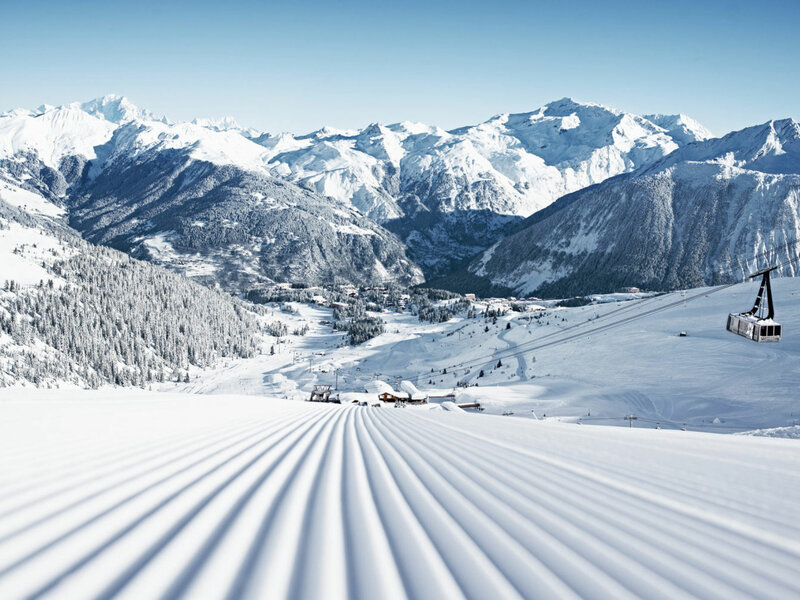 Unbeatable deals on ski hire and airport transfers, and we can make life easier for you by delivering lift passes for your group. 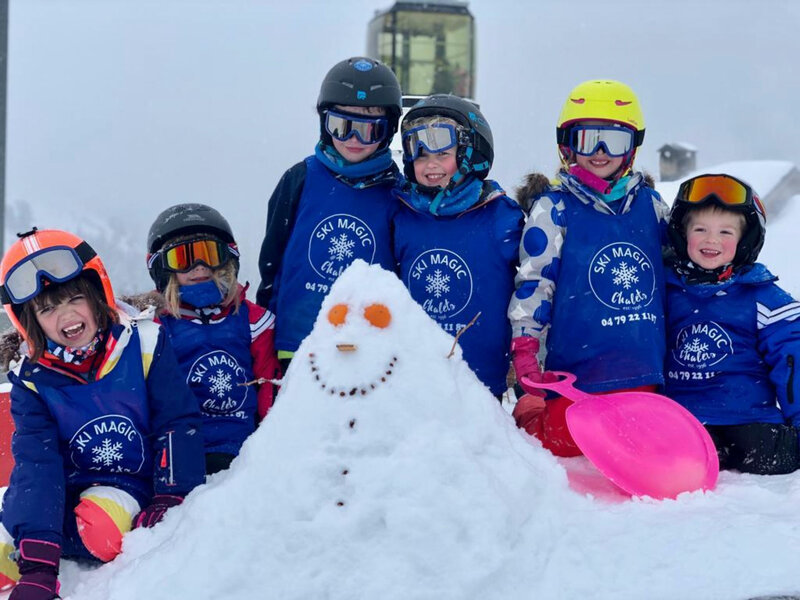 Chalet Matisse is just a very short walk to the piste (less than 5 minutes) and the Tania gondola which links directly to the extensive Trois Vallees sytem giving easy access to Meribel, Courchevel and Val Thorens. 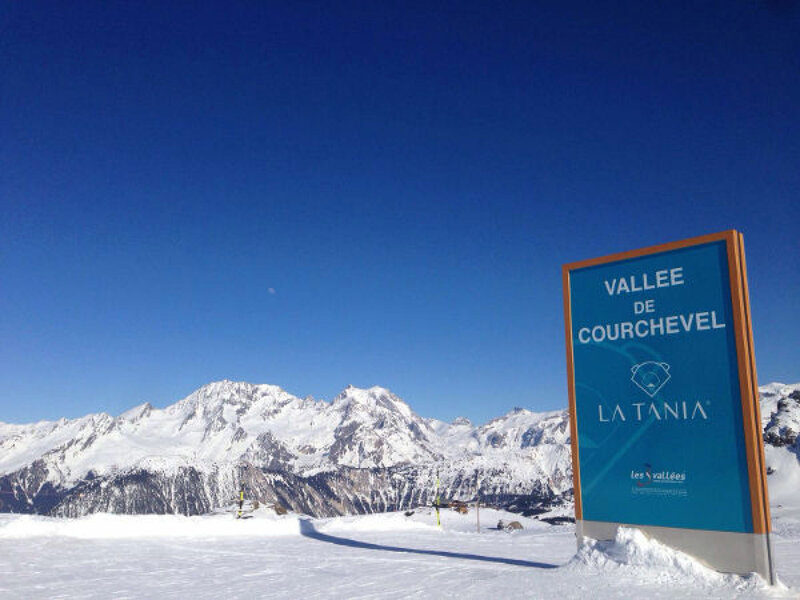 The traffic-free village La Tania sits at the foot of the slopes and has shops, restaurants and bars for your apres ski enjoyment, with live music most evenings. Shared ski and boot room with heated boot warmers. 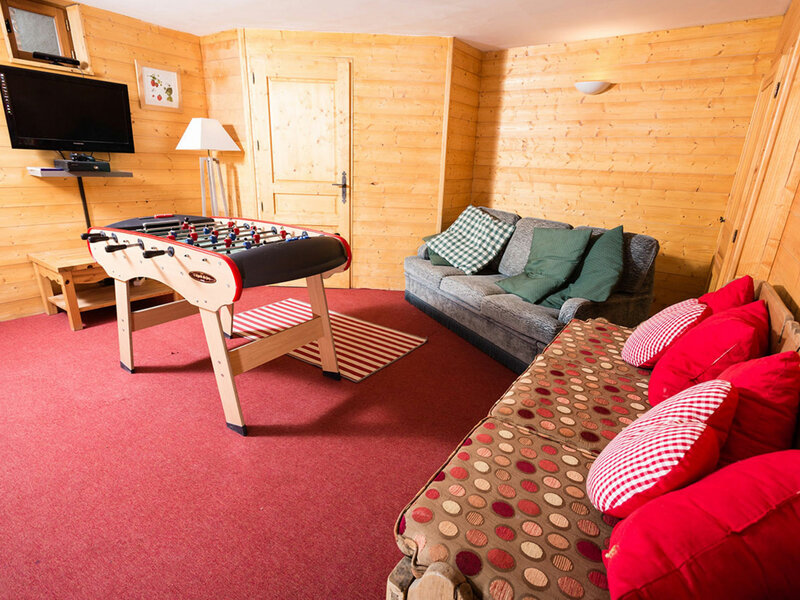 Games room in Chalet Matisse Haut equipped with flat screen TV and wii console. Kitchen, lounge and dining area with log burning stove and patio doors leading to sunny terrace. 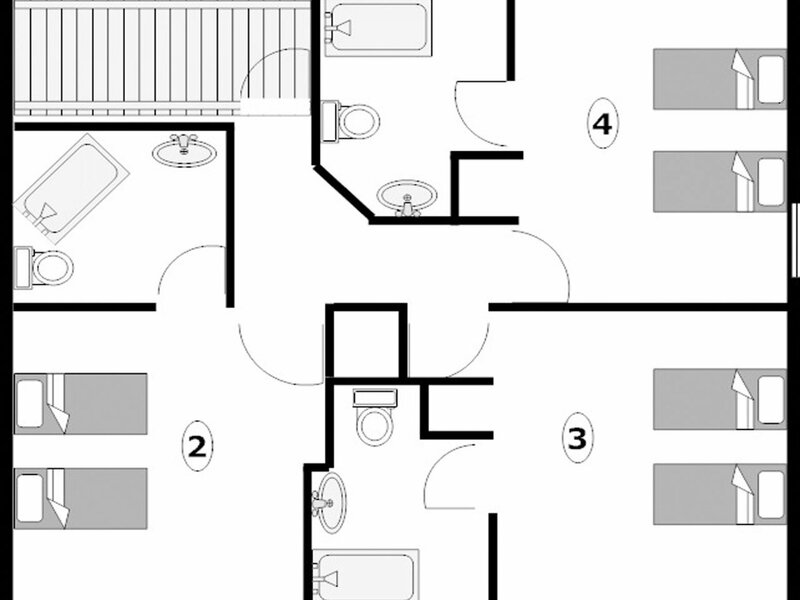 1 x double room with en-suite wash basin and shower with separate toilet outside the door for this rooms use only .This room is on the same level as the lounge/dining room but off the hall. 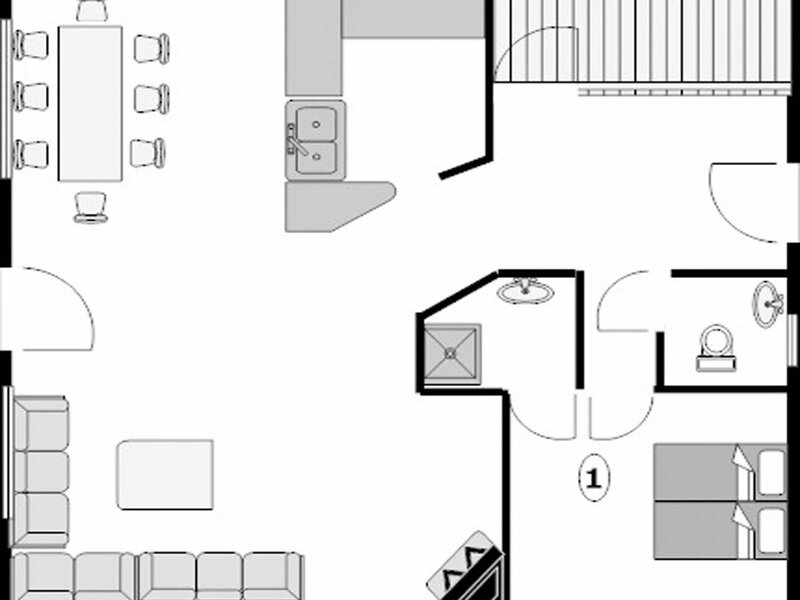 Some rooms may be big enough to add a cot or put up bed for families if required. Let us know if your group has any dietary requirements when booking. 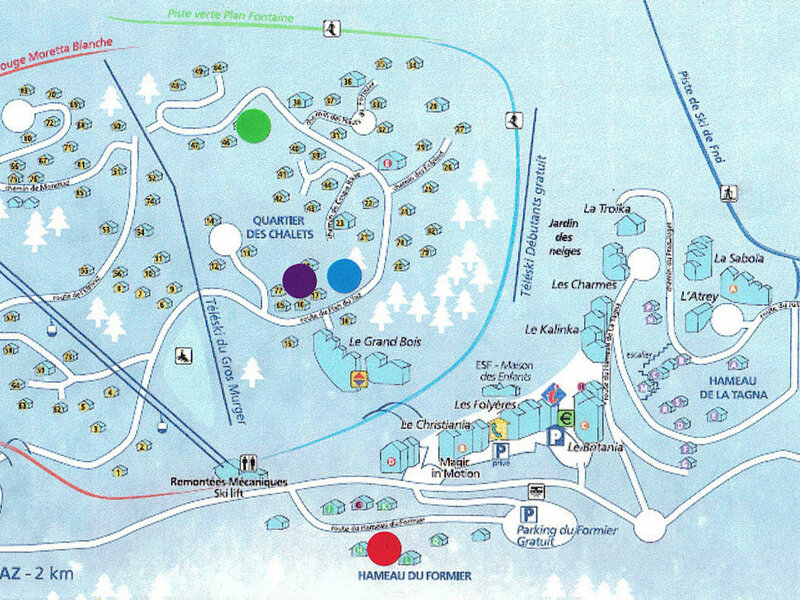 Discounts for children and FREE child places available most weeks. 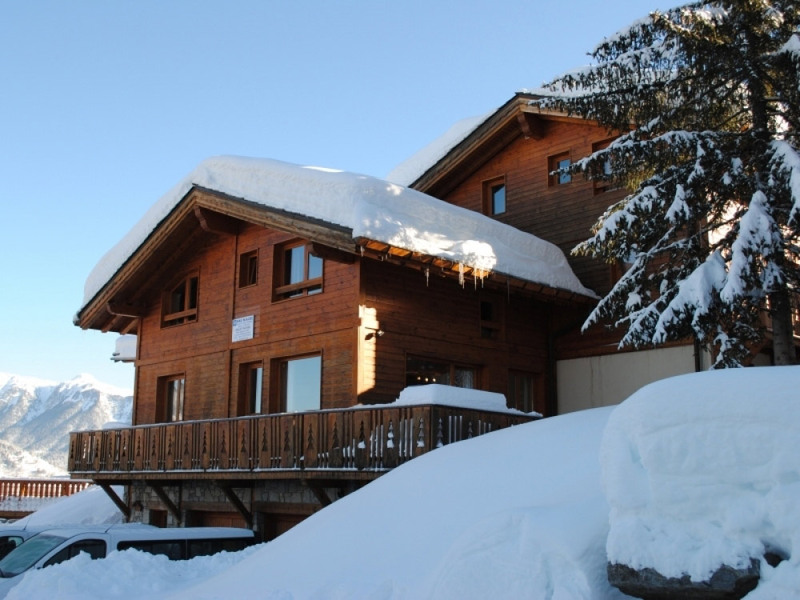 During July and August the chalet is available on a self catering basis. Please contact our office for further details.